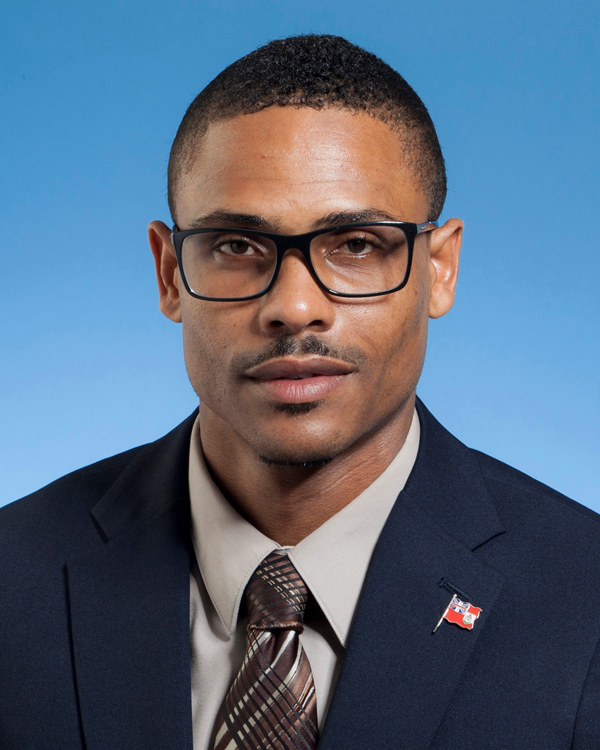 Dennis Lister III — the elected MP for Constituency 28 Warwick West — has been appointed chairman of the Bermuda Road Safety Council. “He will work with new members but also with the past chairman, Ali Bardgett, who remains on the Council as his Deputy Chair,” the Ministry said. Deputy Premier and Minister of Transport and Regulatory Affairs Walter Roban said, “Mr. Lister brings a vibrancy to the leadership and comes with five years’ experience already on the Council. He understands the need to change road safety perspectives in Bermuda. “We’re expecting that he will bring a fresh new approach to our road safety efforts. We need to have youth represented in the leadership of this effort as it is his age demographic from which we seem to have the greatest victims on the roads at this time. “We thank Ms Bardgett for the service she has given and know that her continued presence on the Council will add to its effectiveness, going forward. 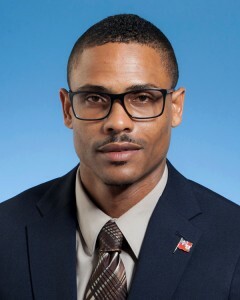 “This will be important because after a 2017 when we again lost lives to the carnage on our roads, I believe we will have to be more aggressive in our approach to dealing with road safety in Bermuda. Promoting safety for all people is a key transportation goal for the government this year. The last time there was a political appointee was in 2011 with Wayne Perinchief, who stepped down when he became a Minister. If he is prepared to lobby, the first thing he can do is to address the RSC’s derisory Government grant which prevents them from doing anything really meaningful. Maybe in Caucus he can be outspoken and ask the Premier and Finance Minister to find extra funds. Please explain why the previous chairman doesn’t qualify as a “political appointee” ? A good example for our young men. I can think of someone who you , for your own selective reasons , would define as another ‘good example for our young men ‘ who rides his scooter bike to work every morning like an out of control lawless punk endangering all other road users. He’s a lawyer too ! Such a good example . The day I come across him wrapped around a telephone pole or the front of a truck I won’t be shedding any tears . A good example of what you troll. YOU MUST LIVE OUTSIDE Bermuda as you cannot be serious with most of your comments. I guess if he was making news for being a gangster it would satisfy your subliminal racist ideology of your stigmatized concept of our young men. Defying ALL odds in a racially systemic society that Historically and STILL is geared to trap him and his peers (if they are not smart enough to avoid it), he has came out shining like a star after dethroning a seasoned MP and well known buisnessman in his debut in politics. But you right wingers STILL think Oboma is a villain no matter how much Trump is F! @#ing up. Get over it, its a new day. How so and who’s young men? Okay I will but you are one to talk about getting over things. So going forward will you stop driving recklessly because a good example has been set? You have such a BS outlook on the world that it is no wonder your vote is so easily bought. Well done, my compatriot. We support you. We elected you. Should be an independent person in charge of this council. I look forward to hearing and seeing what this newly appointed Chairman will implement to make our roads safer. It would be great to see cameras at the stop lights to take photos of those that run Red Lights like in other countries. We need to start clamping down on the continuous disrespect of our traffic laws!!! We could replace yellow line with a wall. The chairman can only propose, he can’t implement. That comes down to the Ministry and BPS. I agree that new things need to take place. ‘More of the same’ isn’t working at all. I’d support using camera technology but I imagine the legislation is going to take some time to iron out. Road Safety and Sugar Tax: put up all de blocks you want but people will do what they do bringing death and mutilation/amputation – Bermuda’s new way of life. Put fines up for due care, excess speeds. Cause a death or serious injury – hold the person responsible financially and lose their license for life. Smoke weed, does it prevent diabetes, alcohol does this prevent diabetes, cigarettes – lung cancer. Get locked up for possession – 3 meals, tea time, best chance of great health care. The taxes should go up to 50% higher on cigarettes, alcohol and the fines, weed – 50% higher, Coke 75% higher, Crack/Fentanyl 150% higher. Leave de sugar alone – everyone must be held accountable for their behavior and health. Hopefully he will look to make the roads safer. Many of the roads are in a dangerous state as seen recently.